Discover modern simplicity alongside Balinese harmony; where contemporary comforts and traditional aesthetics meet at Goya Boutique Resort. 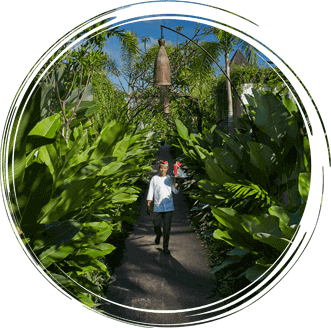 Located in the heart of Ubud, the artisan village of Bali and an idyllic destination embodying a serenely timeless way of life, Goya Boutique Resort is a tropical hideaway that offers the tranquility of private villas set in a lush garden retreat. A culinary and cultural journey, discovering the unique flavors, and cooking styles, of Bali’s homegrown cuisine, offering a fascinating introduction into the most exotic ingredients and unique culinary heritage of Bali. Payangan is one of Balinese village in Ubud, located fifteen minutes north of Goya Boutique Resort. Where you will experience the daily life of the local people. Start from the traditional market, visit the village temples and end with trekking to the rice fields. There you will be served a Fresh Young Coconut directly from the tree. Tour leaves early to avoid the midday heat & will take approximately three hours. Includes mineral water, cold towel & transportation. A culinary and cultural journey, discovering the unique flavors and cooking styles of Bali’s homegrown cuisine, offering a fascinating introduction into the most exotic ingredients and unique culinary heritage of Bali. Enjoy an extraordinary dining experince. Savour our Ubud Night Market best recipes including Grilled Satay, Balinese Lawar and an Endlessly mouth watering Babi Guling or Crispy Suckling Pig. Include free entertainment of Cultural Dance, Live Acoustic and assorted of desserts. Delight your evening at Senja Bar and Resto, Teja and Adi will flow your night away while enjoying our favourite menu including vegetarian options. Experience the "Jimbaran Seafood Barbecue", best recipes from Chef including grilled satay, fresh fish selections from Jimbaran fisherman village and an endless choice of desserts. Black Blues live acoustic and cultural dances performance will flow your night away. Memorable Honeymoon Stay "We had breakfast the hotel every day and it was the perfect start to the day while enjoying the views of the jungle. Which brings me to their pool! It's great! Unobstructed views of the jungle and the sun setting from afar. Perfect for photos as well!" Absolutely amazing stay. Would return in a heartbeat. "We stayed in one of the villas and although it was the pricier choice, it was definitely worth it. The villa was nothing less than stunning. All the furniture, decor and finishes were luxurious and high-quality." Amazing villa, great service "The added thoughtful touches throughout are making this stay super relaxing. The food is excellent and service was speedy. " Goya Boutique Hotel, Our Little Piece of Heaven "We have just experienced our second stay at Goya Boutique Resort, and it was once again, everything we could wish for and a whole lot more ! The rooms are beautiful, along with an amazing outlook, which was just so peaceful. The daily breakfast, and lunch was delicious, with plenty of healthy options to choose from." "We loved the friendliness and personable style of the staff, the views & sunsets at the main pool. The gardening / green environment within the resort is very nicely done. Feels good to be staying there.We liked our stay very much, no major complaints." "Relaxing in every way. We stayed for 2 nights as part of a 2 week holiday in Bali. The one negative is that Goya is so beautiful you might not want to leave to explore Ubud." "Absolutely exceptional! This hotel is by far the best place we have ever stayed! The staff are amazing and will do anything to help and make your stay perfect! The food is as amazing as the hospitality! Hard to find any faults with the place." "Chic, Boutique and Wonderful. 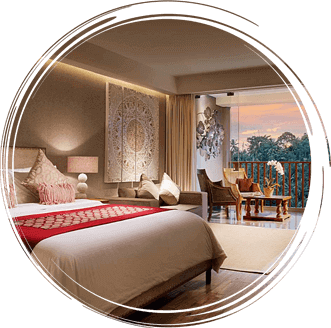 If you are looking for a chic and boutique stay in Ubud, pick this and u won't regret. Goya is away from the hustle and bustle market area - a little up on Bisma but itz a walkable distance to the Ubud market shopping area." "A most relaxing stay with jungle view and great service. I stayed at Goya for 5 nights and I had a very enjoyable time there. What I liked most was the lush jungle view from the infinity pool and my room and the staff service was exceptional. I had a personal assistant Mr. Cigana"
"We stay at this hotel in June 2018, find it on the internet. We like it a lot from the moment we arrived, is very stylish, is designed with a lot of taste, has very beautiful accesories, like mirrors, painting, lights, statue." Everyone at Goya goes over and above to make your stay nothing but perfect, and there wasn’t anything we felt like we needed that they didn’t offer or help us with. I stayed at Goya for 7 days having travelled around the Philippines for 3 weeks and I can not recommend this hotel enough. Rooms are spacious, the service is impeccable and the staff are courteous and friendly they even remember what you like to eat and drink. Staff is Very Very Very nice and kind, they make you feel like king or queen. Every things are carefully selected and serviced. The manager close to everyone staff and guests. One of the Best Hotel which i have ever stayed. All personal of Hotel was incredible warmly Welcoming. All area of Hotel indoor and outdoor is really High Standard design . All the dishes which we have ordered was sooo tasty. 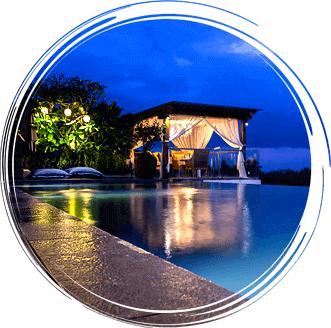 © 2019 Goya Boutique Resort Bali. All rights reserved.